International Drive, also known as I-Drive, is home to many of Orlando’s attractions, dining accommodation, shopping and more! From top to bottom, I-Drive has something for everyone to enjoy! We have made a list of 6 things to keep the whole family entertained during your stay in Orlando! An exciting new attraction will be opening on International Drive at the beginning of May 2015. See Orlando like you’ve never seen it before on the Orlando Eye! 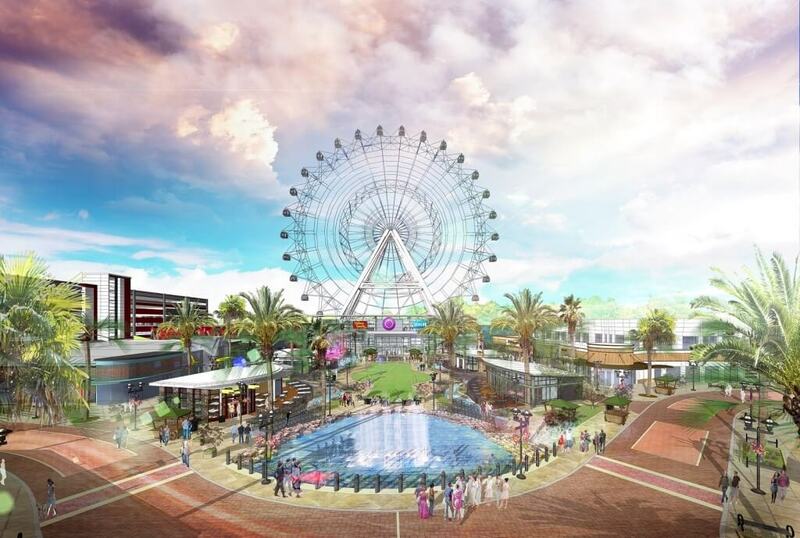 This 400ft observation wheel will give a 360º view of Orlando and a 4D cinema experience! Built in the middle of International Drive, this memorable experience is easily accessible to all. You can take your memories home by getting a souvenir photograph from inside the capsule. International Drive is the place to be when it comes to theme parks. 6 theme parks and waterparks are located on or near this stretch of road. SeaWorld Orlando, Discovery Cove, Aquatica SeaWorld’s Waterpark, Wet ‘n Wild, Universal Studios and Islands of Adventure are enough to keep you busy for the whole holiday! 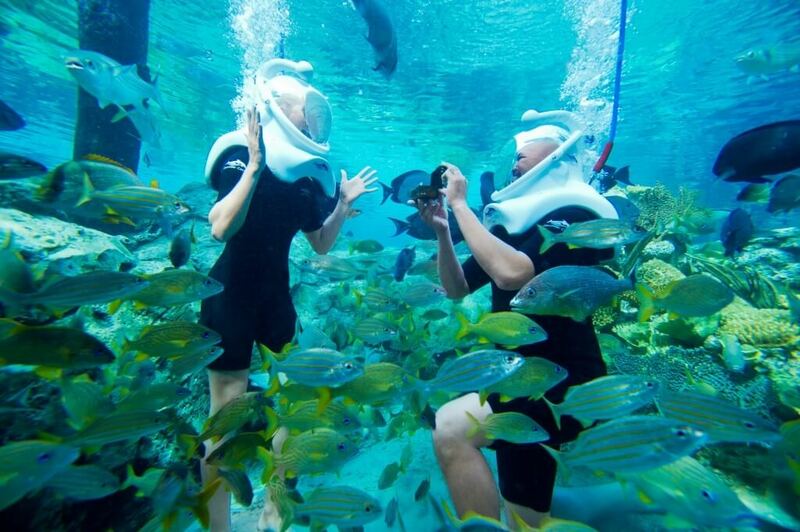 Discovery Cove has activities for people of all ages including an underwater walking tour, swimming with dolphins and relaxing in the lazy river. Universal Studios offers kid friendly shows and rides and for the adults, a wide range of restaurants and exciting roller coasters. International Drive is definitely for the shopaholics! Only 5 miles away from Universal Studios, Orlando Premium Outlets – International Drive has 180 stores offering huge discounts on major brands. 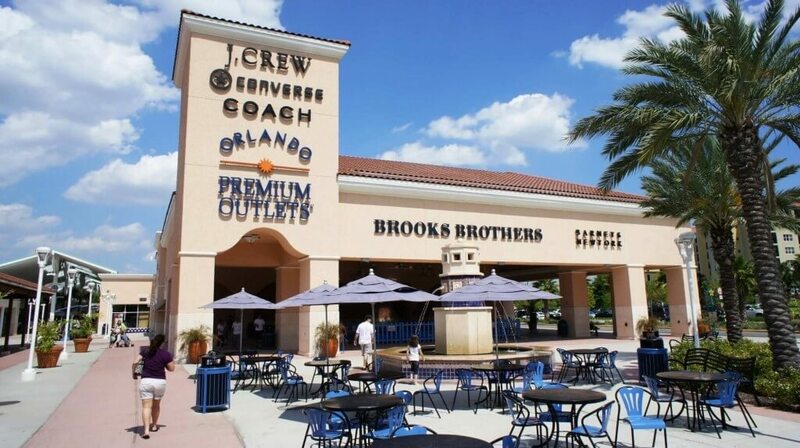 At the other end of International Drive is Orlando Premium Outlets – Vineland Avenue so you have a choice! From womens fashion to electronics to a Disney Store, no one will be bored when they visit! Wander through Victoria’s Secret, Michael Kors, Lacoste, Sony and more! When you get peckish theres no need to leave. Whether you want a sit down meal or a quick snack, there are multiple many places to eat. If you are driving, there is a free car park and there is the option of the I-Ride Trolley service. The Red Line starts at Orlando Premium Outlets – International Drive and ends at Orlando Premium Outlets – Vineland Avenue. It is also possible to register for the VIP Shoppers Clubs which gives added coupons and savings. You won’t have room in your suitcase coming home! Located in the centre of I-Drive, on the Visitors Circle, is a thrilling attraction with a difference. iFly, an indoor skydiving experience, is for those who want to experience the sensation of flying without needing to jump out of a plane! 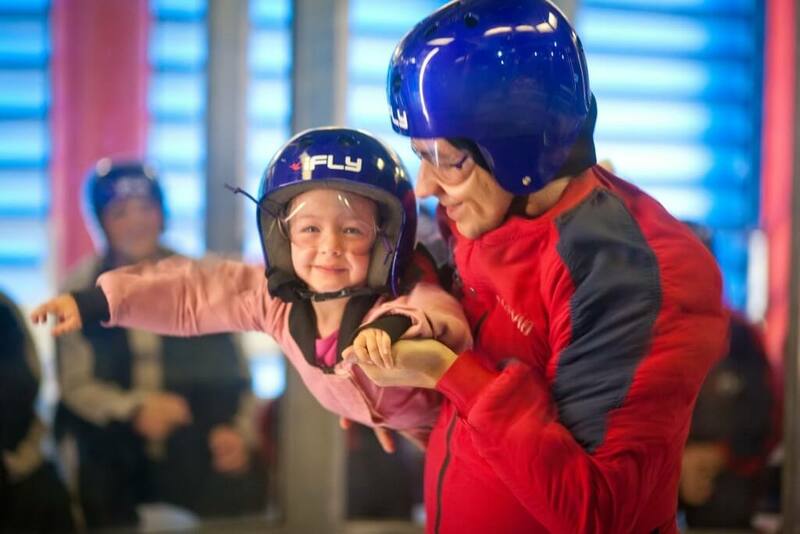 You don’t need to have any previous skydiving experience to try this out and it’s so safe that even kids from the age of 3 and people with physical disabilities can enjoy this! The whole experience last about an hour and there is an instructor with you to make sure you’re enjoying every minute of it.This is an activity that is perfect for an adrenalin rush on the days the weather stops you from going on the roller coasters in the theme parks. 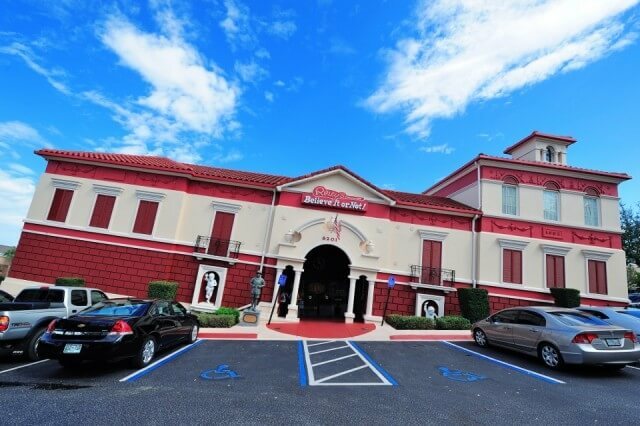 Ripleys Believe It Or Not is a unique experience that fascinates and intrigues visitors. The slanting ‘Odditorium’ houses captivating interactive exhibits and bizarre artifacts from around the world. This attraction is located along the I-Ride Trolley route and also provides free parking for those driving. Children will love this outing and they may even learn something along the way! This is another ideal outing on a day when the weather isn’t the greatest. At only $20 dollars for an adult and the possibility of online discounts, this self guided tour is well worth it. There are over 150 restaurants located on I-Drive and each one offers a different dining experience. The Miller Ale House, located at the South end of I-Drive opposite the Rosen Inn at Pointe Orlando, is a popular restaurant for American Dining. The casual, welcoming atmosphere and meals such as steak, ribs and lobster make this a favourite for any tourist on I-Drive. The Olive Garden is the Italian experience in America. Their famous warm breadsticks and friendly atmosphere makes this a very appealing place to dine. So there you have it, six things you can do on your holiday along International Drive Orlando! Now that you have some inspiration for a great Orlando Holiday, all you have to do is book! Check out our website at: https://www.touramerica.ie/destination/orlando-holidays for more information.